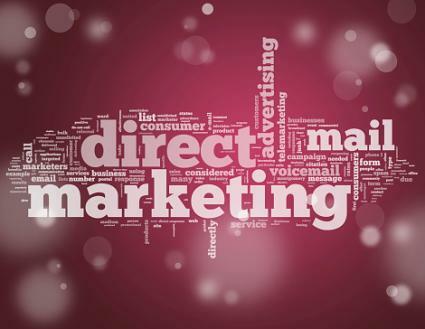 Many businesses use direct mail or direct email as a way to contact potential new clients. The average response rate for direct mail is between 1/2 and 2 percent. However, you can improve the chances of customer response by writing an engaging piece that spikes consumer interest and calls them to act by responding to the letter. If writing a letter, use a bolded attention-grabbing headline before the letter's salutation. If writing a direct email, the subject line should invite the reader to click through to the content in an engaging way. Make it something of interest to the potential client. Consider asking a question that may interest the reader, such as, "Ready for a Better Night's Sleep?" Offer valuable information. For example, promise information, such as "10 Reasons Why...." or "5 Steps to..." or "6 Tips for..."
Craft a headline or subject line that tells the reader how he or she will benefit by reading the email. For example, "Cook Quick, Healthy Meals in Less than 10 Minutes." Turn your subject line or headline into a news-style headline, such as "Interest Rates Drop for Local Homeowners." Personalize your letter or email as much as possible. Use a mail merge program and address the client by name. Depending on the level of formality, use either, "Dear Mr./Mrs./Ms. _______:" or "Dear (First Name):"
Avoid using impersonal salutations like, "Dear Potential Customer:" or "Dear Sir or Madam:"
If you must use an impersonal salutation, try some level of personalization based on your targeted audience. For example, "Dear Pet Lover:" or "Dear Fellow Wine Enthusiast:"
Appeal to the readers' emotions: "Have you ever felt...?" Engage the readers' curiosity: "What if...?" or "Did you know...?" Stress your common interest with the reader: "If you're like me..."
State your offer up front: "Come for a free financial planning seminar..."
After the initial sentence, include another three to four sentences that expand on your original point in the letter. Make the sentences short, on topic, and action oriented. In the body of the letter or email, remain on topic. The following tips will help make your letter more effective. Make your offer within the first few paragraphs. Offer testimonials from other customers. Don't make the letter more than two pages long. One page is even better. Talk about benefits instead of features. Or, if you mention features, always follow up with benefits. Stay on-topic throughout the letter. In your last paragraph, create a call to action that invites the reader to take next steps after finishing the letter. Make the desired action clear using action-oriented phases. For example, "Sign up for our free class at www.yourwebsite.com today!" or, "Click here for our free publication 101 Tips for a Cleaner Home." Keep your call to action simple. Don't require your audience to take more than one action, and make it as easy as possible for them to do so. For example, if your call to action is, "Call us today to schedule your free consultation," then you need to include the phone number. Don't make your reader search on your letterhead for information like phone numbers or websites to complete the call to action. Offer something free in return for taking the action, such as a whitepaper, free tips, or a free eBook. Make the offer urgent. For example, make the offer available only to the first 100 responders, or provide an expiration date. It's important if it's a mail piece to sign the letter. Likewise, in either a letter or an email, make sure the reader knows who the letter is coming from and why they are in position to make the offer. For example, you might sign the letter, John Q. Smith, Financial Advisor. Share a chief benefit of your offer. Remind people the offer is for a limited-time. Share an indirect testimonial, for example, "As a result of taking our cooking class, Judy Skeleton lost ten pounds in a month." Appeal to readers' self-interest by pointing out how the product or services will benefit them directly. Appeal to readers' aspirations, showing how the product or services will help them meet those. Tell a story to your readers, such as sharing how the product or service has helped someone. Ask questions or make statements that spark readers' curiosity. Make offers readers can't refuse. Send the right letters to the right people. Targeting communications to the right audience is critical. Tell the reader why he or she wants to take action. Try to personalize the letter to your target audience. Keep paragraphs short and make use of white space. If the letter is long or has a lot of copy, use graphics to break it up and add interest. Identify how the product/services will help solve the readers' problems. Use fonts, sizes, and colors that are easy to read. For example, avoid a white font on a black background, which can tax the eyes. Make the letter easy to skim with bullet points, lists, and headings. Make the offer several times (restated) throughout your letter. While you want to convey enthusiasm and excitement, don't overuse the exclamation point. Save it for just a few spaces in the letter. One of the best ways to understand how to communicate effectively in this format is to view examples of direct mail letters. Using the tips presented here paired with knowledge gained from looking at samples can help you effectively write direct mail copy.